This workshop invites participants to reflect on the portrait and self-portraiture as a form of artistic expression using Reggio Emilia’s pedagogic approach. Combined with a viewing of the permanent collection, students join artist-facilitators for an introduction to drawing. Featuring a selected work from the collection, students explore line, tone and proportion. Workshop content able to be adapted to suit curriculum requirements. 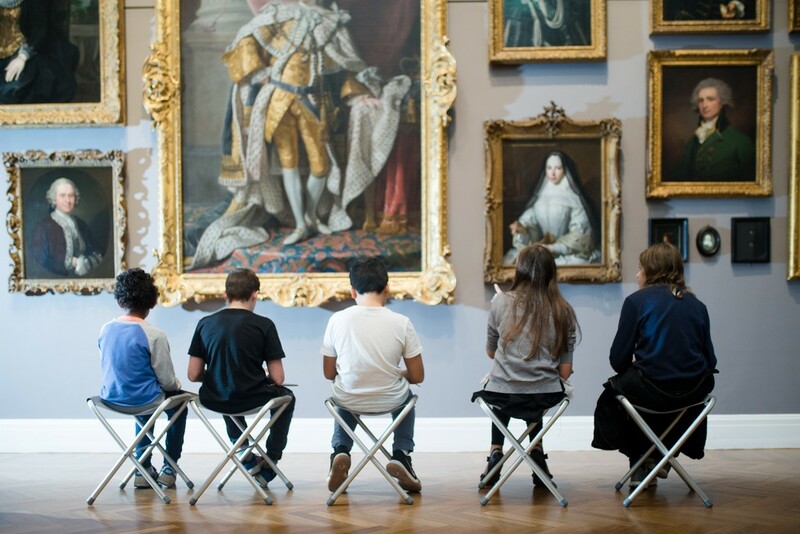 Students transform a portrait in the collection into an imaginative comic book character or caricature, exploring body language, facial expression and movement. Examine works of art in the collection and begin to unpack the anatomy of the human form. Complete a series of observational studies exploring Planar and Ovoid drawing techniques that focus on measurement, structure and rendering. Cost: $200 class group/$130 equity/regional class. Subsidised cost for groups less than 15 students.